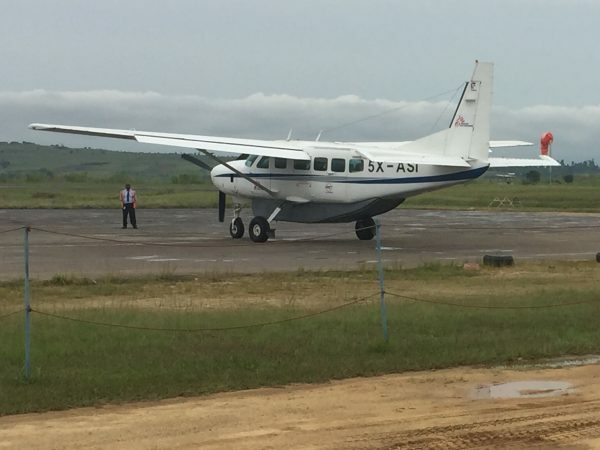 July 31, 2017 will see the conclusion of Air Serv’s four year program in Bunia, DRC, which began July 2013 and operated a Cessna Caravan in support of Medecins Sans Frontieres (MSF). The program’s closure is warranted by the combined efforts of Air Serv and MSF, which have resulted in the reduction of chronic health issues in the area requiring immediate attention. In anticipation of the closure of the Bunia base closure, MSF teams are assessing a relocation to another regional area. A decision will be made after evaluating where medical services are most needed. Air Serv continues serving other MSF programs in DRC as well as other countries, while also currently working to position aircraft in Somalia and South Sudan to assist the NGO community in current famine response efforts. With a fleet of seven Cessna Caravans, Air Serv specializes in “last mile” air transportation in support of humanitarian programs. Air Serv also provides commercial air charter, facilities, aircraft maintenance, and consultation services. For more information about Air Serv, see www.airserv.org and follow Air Serv on Facebook at https://www.facebook.com/airservintl/.